After a BS in chemical engineering from the South China Institute of Technology, Li Zhuo moved to the United Kingdom to obtain masters degrees in surface chemistry and colloids as well as polymer science and technology. His education culminated at Lehigh University with a PhD in polymer science and engineering. For ten years, he worked at BASF Corporation on polymer latexes with state-of-art technologies for low VOC paints, ultra-strong water-base adhesives, and special construction applications. One day at the dinner table, his little daughter asked, “Daddy, what do you do at BASF?” He pointed to the wall and replied: “I make one of the paint ingredients.” “What? You make paint? I thought you are a Ph.D.!” “You make only one ingredient of the paints?” Li had to explain to his amazed daughters that there is a lot of technology innovation in the products we are surrounded by daily. Two years later, his team made a breakthrough in particle morphology and surface modification that led to the low VOC/odor paints on Home Depot shelves today. However, his daughters’ views on “high tech” did influenced his career path, as Li took his particle product development experience to medical diagnostic applications. As a senior scientist at Thermo Fisher Scientific, Li spent the next decade developing new polymer and composite particles for medical applications, upgraded particle production processes, and modified surface and fluorescent properties. This year, he joined Bikanta as a nanoengineer. 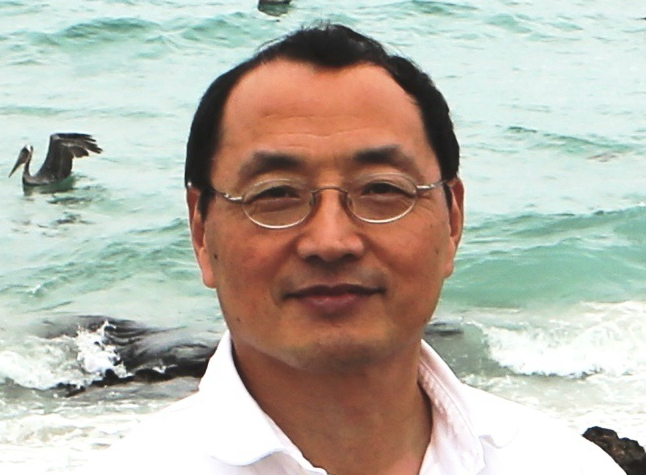 With his rigorous technical background, extensive industrial experience, and “outsider’s view” to problem solving, Li is crucial to Bikanta’s early research in functional modification and biocompatibility analysis.